Timothy G. Carter was elected as Business Manager of Sheet Metal Workers Local 66 on March 18, 2015. Prior to that he was elected and served as Business Representative to Local 66 for over 12 years. He started his apprenticeship in 1980 in Seattle Local 99 which has become Local 66, turned out as a Journeyman in 1984, and went on to become a field Superintendent for MacDonald Miller on several major projects in the Puget Sound area. 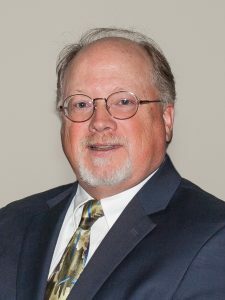 He currently serves as Trustee on the Northwest Sheet Metal Workers Pension, Secretary on the Northwest Sheet Metal Workers Healthcare Trust, and Chairman of the Western Washington Sheet Metal Training and Apprenticeship program. Tim spends his spare time with his wife and family of 5 children and 8 grandchildren. He is very active in his local church having served as an Elder, and his hobbies include playing Bluegrass music, fishing, and hunting.